In a remarkable turn-up for the books, Apple has confirmed that it will stream a live video feed of its special launch event today, making video available from the event via a new Apple Events app on Apple TV devices but also via Apple.com. It will be the first time an Apple event has been streamed live since 2010. 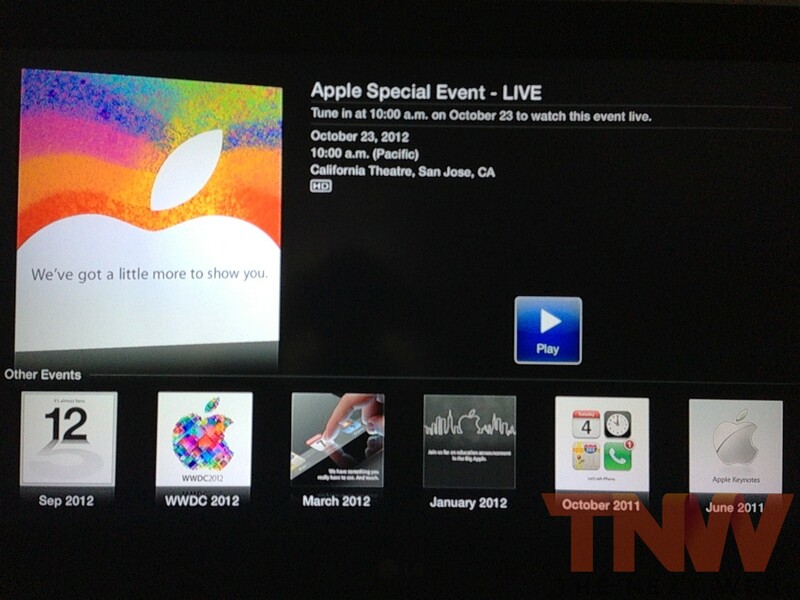 The Apple TV app — which is shown below (via Alex Brooks) — features the decal from Apple’s invites for the event. When entering, users can select the ‘Apple Special Event – LIVE’, and watch the action as it unfolds from 10am Pacific time. Apple has yet to update the ‘Apple Events’ section of its website, so we don’t know whether it will be publicly available via the website. (Update: The company pushed live a new page on its website shortly after our post, confirming it will be available via Apple TV and Apple.com). 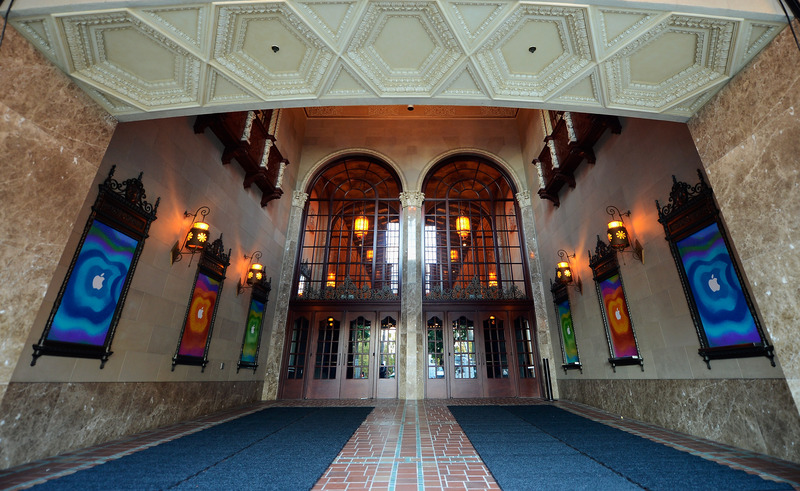 Apple stared decorating the California Theatre in San Jose earlier in the week to show mildly psychedelic colored posters featuring the Apple logo. The venue is significantly different from its previous product announcements in San Francisco, which were set in a more modern venue. The iPad maker sent out invitations last week with the tagline “We’ve got a little more to show you.” The event is widely believed to be for a smaller 7.85-inch iPad, and is also likely to include new Macs. References to “iBooks 3.0″ found in iTunes also point to a strong iBooks focus for the rumored iPad. The event, which comes roughly one month after September’s iPhone 5 and iPod announcement, kicks off at 10am PT, 1pm ET and 6pm BST — we’ll of course be keeping you upated on the news.